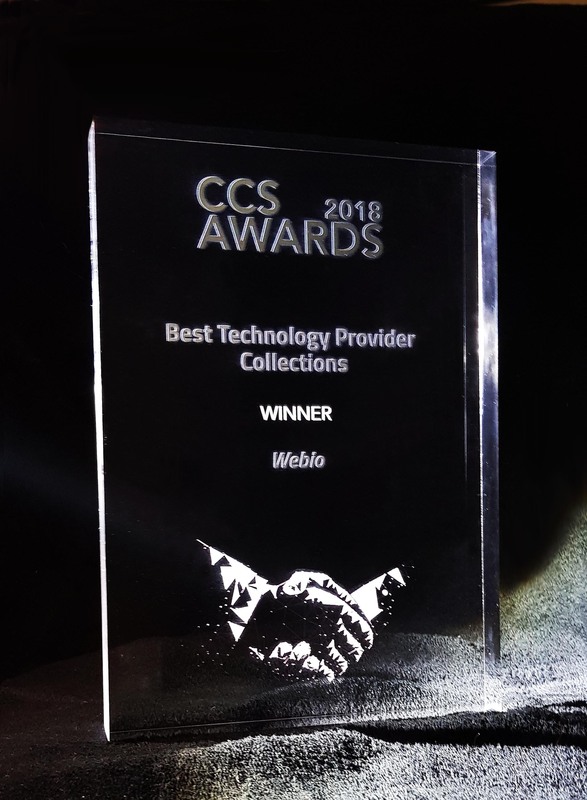 Webio, the Conversational Middleware Company™ has won another’ Best Technology in Collections’ award at the Credit Strategy Collections and Customer Service Awards. On one of the most important nights of the year, these awards recognise the outstanding achievements of companies within collections and customer service industries. Working with some of the biggest collections’ teams in the UK, Webio’s Conversational Middleware has been recognised for its ability to enable collections companies and teams to engage with customers in more intelligent ways by blending AI chatbots and live agents. Coupled with Webio’s Propensity-X machine learning engine, predicting collection conversation outcomes has resulted in significant improvements in customer engagement and payments across the debt cycle, especially with long-term unresponsive customers. 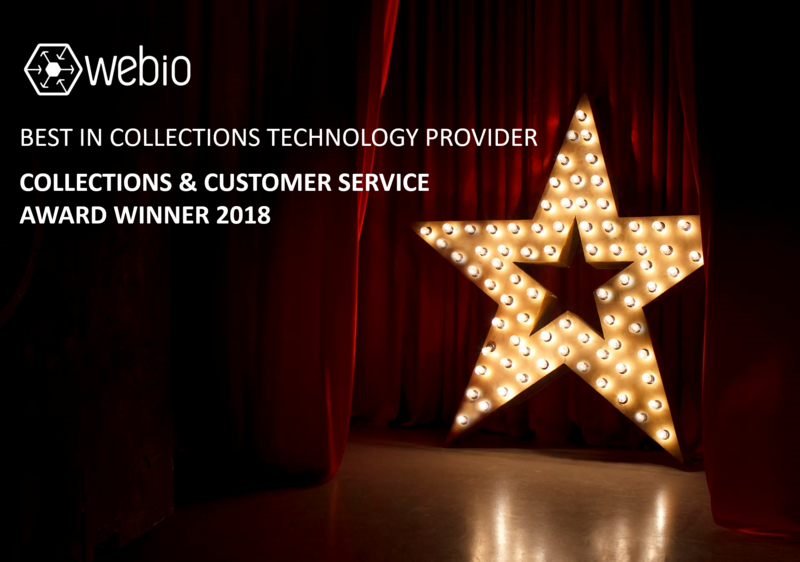 Fresh off the back of two wins at the 2018 Credit and Collections Technology awards , where the Webio team picked up the ‘Collections & Recoveries’ and ‘Customer Engagement Solutions Awards’. “ We have faced off a lot stiff competition during this awards season and we are looking forward to launching our latest platform skills in 2019” says Mark. Webio are also in consideration for the upcoming AI Awards Ireland.